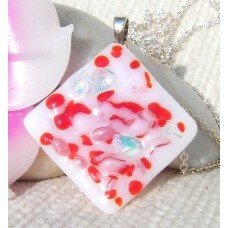 3cm x 1cm. 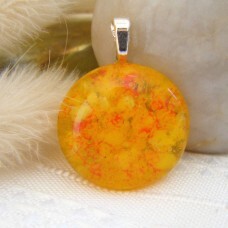 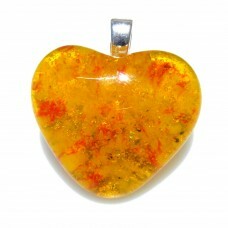 This stunning fused glass pendant needs to be seen in hand to appreciate its unique colou..
Amber glass and yellow frit sprinkled with red glass powder mimic the appearance of pure Amber. 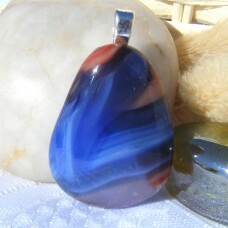 Capp.. 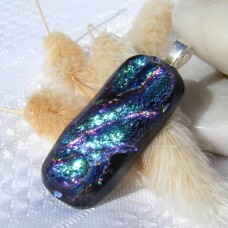 Size 4cm x 2.5cmMulti coloured shimmering dichroic pieces layered on top of a cream base topped crea..
3.5 cm x 1.3 cm, The colours in this fused glass pendant remind me of the Northern Lights in that t.. 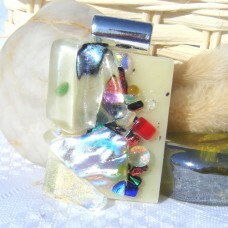 Size 3.5 cm x 3 cm. 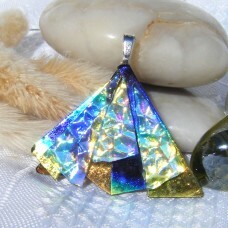 Layers of golden rainbow and striped dichroic in a random pattern with central h..
Blossom Candy Frit and dichroic diamond shape tile pendant. 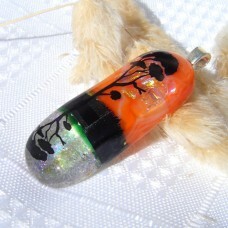 Contemporary pendant which is one of a ..
1.5 cm x 2.5 cm. 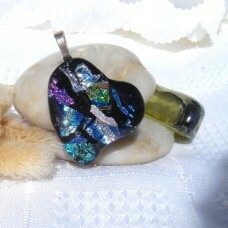 Blue Brown bullseye glass with a hint of dichroic teardrop pendant. 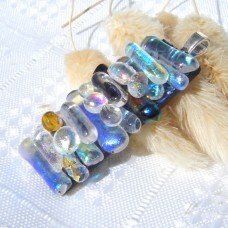 Soft but eye-c..
2.5 cm x 2 cm. 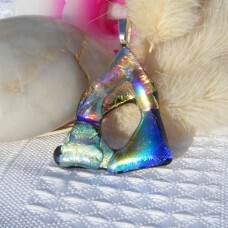 This unique piece has every colour of the rainbow and then some! 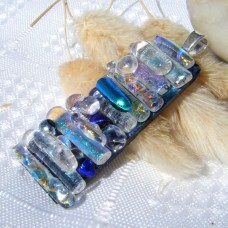 Blues, greens, viole..
2.5 cm x 1 cm. 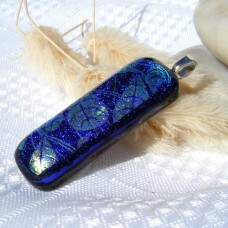 Wavy lines of surveys turquoise and blue are captured in this ingot shaped pendants a..
3.5 cm x 1 cm Textured blue green and gold shimmering dichroic. 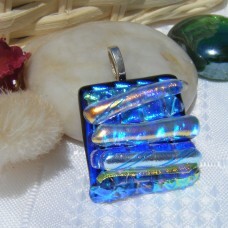 A blue based ingot shape..
3.5 cm x 1.3 cm Vivid blue shimmering dichroic topped with fused dichroic rainbow, clear, golden, p..
3 cm x 2 cm Multi colours dichroic glass atop a black fan shape glass and topped with yet more dichr..
3cm x 3cm. 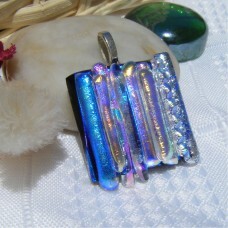 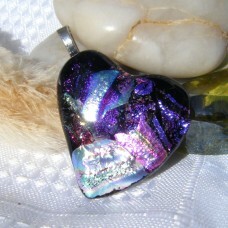 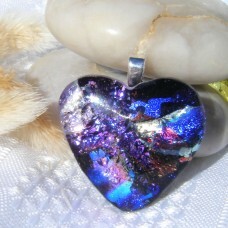 Pieces of multi coloured and textured dichroic glass forms the base of this pendant. 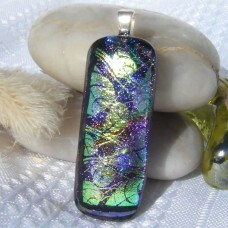 Then..
3.5 cm x 1 cm Textured blue green and gold shimmering dichroic. 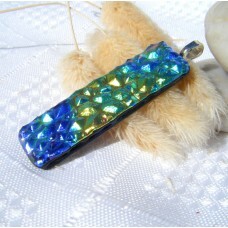 Brilliant everyday sparkle or dress..
2.5cm x 2.5cm. 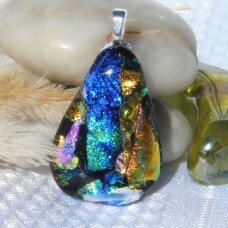 Vivid blue shimmering dichroic topped with fused dichroic rainbow, clear, golden, pi..
2.5cm x 2.5cm. 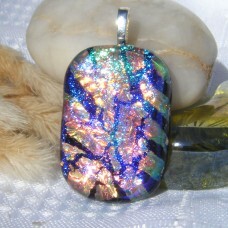 Vivid blue shimmering dichroic topped with fused dichroic rainbow, clear, golden, pin..